Akira Miyanaga (born in Hokkaido, Japan 1985) is a leading young Japanese artist based in Kyoto, working on video art and video installations. He takes an approach to capture live-action video materials, then compose them together getting out some relationship among their 2 dimensional images one after another. 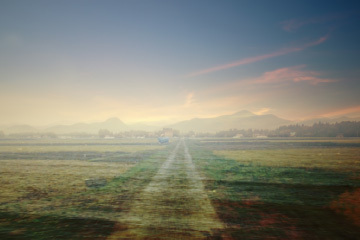 It is not a presentation of a story made by listed images like montage, but an experimental way to visualize the connection among images he apprehends. In other words, using video images as variable materials. 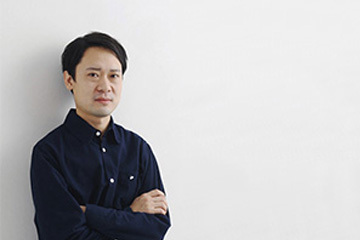 He is also active as a VJ mixing live-action video materials, multilaterally seeking the possibility of video medium. Hidetaka Nakagawa was born in Kyoto, Japan. 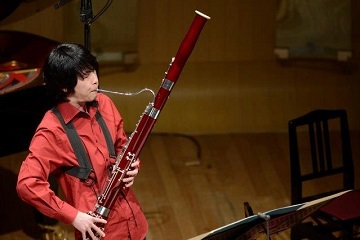 He started to play the bassoon at the age of 14, studying with Kazuhiro Yamamoto and Hiroaki Mizuma. Later graduated from the Kyoto City University of Arts in the class of Yoichiro Nakano before his studies in France. He obtained the diploma at the Conservatoire à Rayonnement Régional de Paris in the class of Laurent Lefevre. He was chosen a member of the Lucerne Festival Academy supervised by Pierre Boulez in 2010 and 2011. He was also invited to perform as a member of Lucerne Festival Academy Alumni Ensemble in Zürich, London and Lucerne. He collaborated with Dai Fujikura and Kenji Sakai, among other composers. In 2014 he was selected for Kyoto City’s special encouragement programme for art and culture.The member of International Ensemble Academie in 2015. Born in Shizuoka, Japan. Served as curator at the Kyoto City University of Arts ART GALLERY @KCUA from 2012. Curated exhibitions at @KCUA include: killing time (2016), a Guido van der Werve solo exhibition; NA (2016), a Yuki Okumura solo exhibition; The Hundred Steps (2014), a workshop-turned-exhibition with Ellen Altfest; PHOTOPHOBIA (2014), an Apichatpong Weerasethakul solo exhibition; and KYOTO STUDIO (2013). Participated in the 2014 Young Curators’ Workshop (in Manila, the Philippines) organized by the Japan Foundation. Recipient of Kyoto City Special Bounty Program For Art and Culture (2015). Born 1979 in the Republic of Korea. After studying western paintings at Mok Won University, she came to Japan. She finished the doctor course at Kyoto City University of Arts in 2011. At present, she is creating art works in Kyoto. 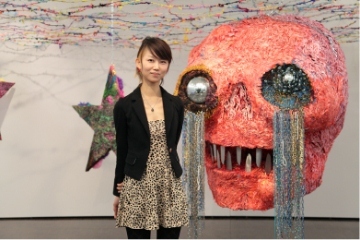 She has exhibited her works at “Tokyo Wonder Wall Tocho 2007 Hyon Gyon Exhibition ” at Tokyo Metropolitan Government Building, two solo shows at g3/gallery in 2010, “On a knife Edge- Hutatsuno mukougishi Exhibition” at Kyoto Art Center in 2011 and other places. She won the” Special Award for Arts and Culture” given by the City of Kyoto in 2012. Born in 1973, Sowa studied under his grandfather, Hiroshi Sowa who is a Ningen Kokuho (living national treasure) and his father Masahiro Sowa.Naoyasu Sowa began to play the kotsuzumi at the age of 6.Sowa inherited the rare talent and with diligence of practice, mastered his instrument and developed a delicate but daring sound. Sowa already has the reputation of a musician with a keen sense.Sowa teaches all over Japan from Hokkaido to Shikoku and is enthusiastic in rearing players for the next generation. 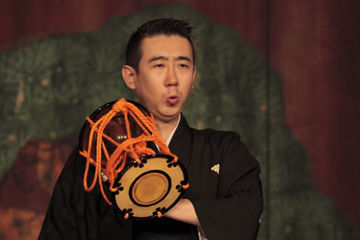 He is a very energetic player, having participated in the International Music Festival of Pollensa in Majorca, and also organizing a concert series called 'Hayashido' which is devoted to the beauty of Noh music. Izuhara studied in New York under David Oistrakh’s favorite disciple, Anna Pelekh. 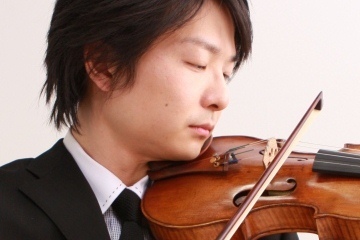 After graduating top of his class from the Violin Course at Toho Gakuen Music High School in 1997, Izuhara completed the Soloist Diploma Course at Toho Gauen College Music Department. Enrolling in the Royal Conservatory of Brussels, he then transferred to the Hamburg University of Music and Theatre in 2006, graduating with distinction and earning a diploma. Upon returning to Japan in 2007, Izuhara worked as a guest concertmaster for the Tokyo Philharmonic Orchestra, Japan Philharmonic Orchestra, Sendai Philharmonic Orchestra, and Kyoto Symphony Orchestra, where he then became permanent concertmaster in 2009. Audiences are enchanted by the technique and sensitivity he has fostered in orchestra and chamber music. Tomo Sone was born in Kyoto. She worked with several ballet companies in Japan, then from 2001, worked as a freelance dancer with Japanese renowned choreographers. In 2008, moved to Tel Aviv, Israel. Nowadays she is working as an independent choreographer and dancer.